William Hill is a long-time trailblazer in betting and gaming. The company has been around since 1934, established an online presence in 1998 and has boosted its Casino since 2000. Nowadays, it has numerous popular gaming products, including Vegas, Live Casino, Games, Bingo and Poker. However, Casino is arguably its standard setter, due to both longevity and the frequency with which it evolves its offering in terms of games and technology. William Hill Casino is licensed and regulated by the Government of Gibraltar and holds a valid UK Gambling Commission License. You don’t have to worry about being let down by technology when visiting William Hill Casino as the software is provided by Playtech, one of the industry’s leading suppliers. One of the tabs you’ll notice as soon as you visit the site is Download. Click this and follow the three steps – they really are as simple as they sound – and you’ll have access to the full suite of games, not to mention a welcome bonus of up to £300. More on that later. Unsurprisingly, security isn’t a concern given how experienced and trusted both William Hill and Playtech are. When it comes to depositing and withdrawing, you’ll find lots of options at your disposal, among them Visa, Mastercard, PayPal and Skrill. And what can you expect in terms of customer support? There are an FAQ page and help centre to guide you through common queries, a live chat feature that’s open all hours and a free phone number for if you prefer a voice conversation to a text one. One of the best things about William Hill Casino is the volume, variety and quality of games available to play, especially as the list is constantly updated with attractive new releases. If it’s slots that you love, there are over 200 for you to pick between, with highlights including Epic Ape, Age of Egypt, Tiki Paradise and Heart of the Frontier. It also houses franchises like Age of the Gods and Batman. As for table games, there are dozens of varieties of roulette to try out – everything from Premium European Roulette to jackpot styles like Dragon Jackpot Roulette to unique formats such as 101 Roulette with an oval wheel and over 100 numbers to pick from. There are plenty of types of blackjack to turn your hand to, as well as baccarat and craps. If you prefer the rush of seeing exactly what you’re up against, William Hill Casino has the tables for you. Blackjack, roulette, baccarat, hold’em and Hi-Lo can all be played with live dealers to enhance the feeling of being at the venue. 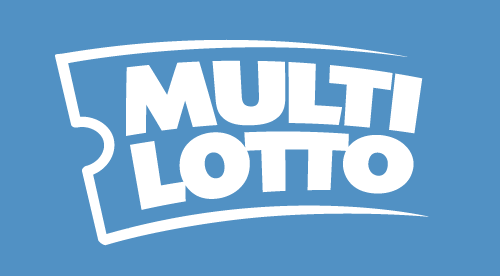 There are over 70 progressive jackpots to shoot for at all hours of the day at William Hill Casino, with many of those venturing into seven-figure territory. Jackpot games include the aptly-named Jackpot Giant, Leprechaun’s Luck and Beach Life. Then you have your superhero series like Justice League, Green Lantern, Man of Steel, Superman and Batman. Your first reward as a William Hill customer comes straight after signing up, and you get to determine how big it is. The welcome bonus is a 100% deposit bonus up to £300, with the minimum amount allowed being £10. So if you deposit £10, you’ll get a £10 bonus, while a £300 first deposit will net you a £300 bonus. There are multiple promotions every week for all customers to take advantage of, varying from Golden Chip, free spin and bonus drops to bet and get offers, many of which run across multiple days. You’ll also get to take part in cash prize or free spin draws, plus deposit, win and loss bonuses. If you’re really lucky, you might even get a few exclusive opportunities along the way. Some of the offers cover the Casino as a whole, while others are for specific games – usually either the most popular ones on the site or the latest additions. Both the William Hill Casino website and app are very straightforward to navigate. When you load the page, you’ll find the newest promotion that you can get involved in right at the top along with your account information, with the best-liked games displayed underneath. Before you get to those tiles, there is a selection of tabs that enable you to customise your experience, see all the promotions you’re eligible for and find the games you want to play as quickly as possible. You can filter by slots, table games, card games, jackpots, live dealers and fresh releases. There’s a search bar too if you know exactly what you’re looking for. And perhaps the most helpful option of the lot is the “Recently Played” button, which brings all the games that you’ve enjoyed lately to your immediate attention with a single click or tap.